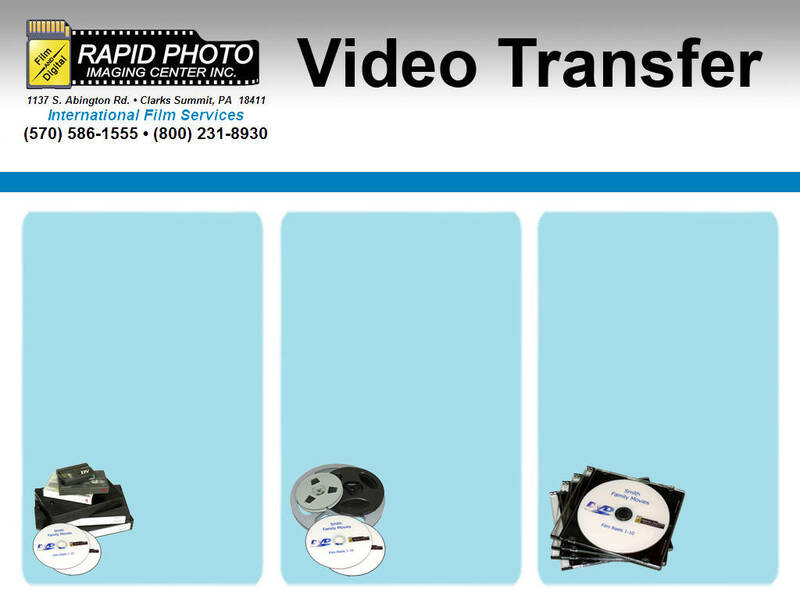 Converting your video camera and film reel memories to DVD or video file! Minor Editing only from start or end of tape, for example, we can remove a TV program from the end or start of the tape if requested. For more advanced editing, please inquire. Title on face of dvd is included with transfer price. All old movie transfers are done in-house. For movie film developing, please refer to filmrescue.com. Title and cover graphics and a thin jewelcase are included in pricing.